Cyber-security has added a new dimension to medical device safety, and the FDA is urging device manufacturers to begin incorporating digital security into safety procedures, the administration’s blog reports. With devices such as implantable cardiac pacemakers and insulin pumps now incorporating digital technology connected to the Internet of Things, a computer security breach can now threaten the lives of patients as well as their medical records. To address this, the FDA has released guidelines for medical manufacturers on how to incorporate digital security into safety procedures throughout product life-cycles, starting during the design phase. These guidelines aim to help manufacturers prevent risks as well as manage any risks that do emerge. While the digital dimension of medical device safety is new, device manufacturers have long been required to take steps to ensure product safety. Here’s a look at how medical manufacturers keep the devices they produce sterile and safe for consumers. Strategic material selection lays a foundation for safe medical devices. 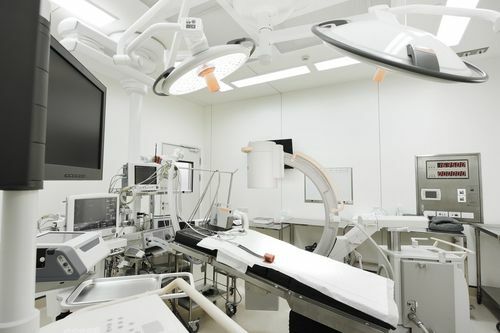 In order to remain sterile, medical device parts are often made of special materials that are resistant to heat expansion, chemical change, and gas permeation. They must also come in very precise sizes to retain a good seal as they are used. Medical o-rings actually come in over 7,000 sizes. Some of the highly specialized materials used include liquid silicone rubber (LSR), which can withstand a range of temperature from -85 degrees F to 400 degrees F. LSR can also retain its properties during sterilization processes involving gamma radiation, ethylene oxide and steam, enabling it to meet United States Pharmacopeia and National Formulary safety standards, which represent compliance with federal law. LSR is further resistant to cleaning agents and microbial growth. The properties of liquid silicone rubber make it ideal for medical applications such as syringes, as well as face masks or inhalers. The materials used for medical devices must go through special processes in order to remain sterile. Best-in-class medical device manufacturers use medical device cleanrooms that meet different classes of regulatory standards. Cleanrooms control contamination by careful monitoring to ensure that contaminants are not concentrated at more than a specified number of particles per cubic meter of a given particle size. Highly refined filters and recirculation of purified air help ensure air quality. Staff must enter the room through secure air locks while wearing protective clothing. Substances that could potentially contaminate products are banned from the cleanroom, and furniture and other items are kept to a minimum. Special walls that can be wiped down with antiseptic may also be used to maintain strict conditions and humidity may be controlled. Rigorous shipping and handling policies also help ensure medical device safety. Packages intended for use in shipping medical devices must be tested for compliance with International Organization for Standardization safety guidelines. Medical device manufacturers must demonstrate that package barriers ensure sterility over the duration of the product’s intended life-cycle. Packaging must also hold up under testing to ensure integrity during the handling, distribution, and storage processes. Environmental controls, artificial aging and simulation of distribution are used to test package integrity. Inspectors check for factors such as leaks, seal strength, plastic tears and puncture resistance. Packaging labels must also provide directions for use and warnings against unsafe practices. Once medical devices arrive at medical facilities, medical staff take additional steps to ensure safe handling and storage. Hospital loading docks and warehouses follow special materials management procedures to ensure that devices remain sterile during storage and preparation for use. Items such as sterile instruments and medical pumps are often stored in a separate sterile processing department for extra protection. A very well researched blog on sterility of medical devices. Sometimes due to the negligence of some people a healthcare organization gets a bad name in terms of hospitality. As citizens it becomes our duty to make sure that these things are kept safe after all it our health which is at stake.